Lil loves: Very Inspiring Blogger Award! 2) List rules & display your award. 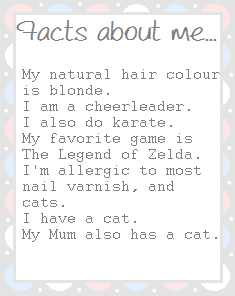 3) 7 facts about yourself. 4) Nominate other amazing blogs and comment to let them know, linking them to your post. 5) Optional. 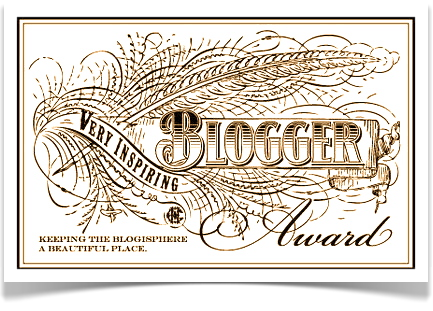 Proudly display the award logo on your blog (eg. side bar) & follow the person who nominated you (if you didn't already). Asif you are allergic to most nail varnishes!! How did you realise?! Wow I haven't heard of anyone having a nail varnish allergy! Also, how do you cope with having a cat if you're allergic to cats? I've always had a cat in the house until I moved to university, and the allergy only flared up when I was 16 so I just had to avoid stroking them! I think I had built up somewhat of a tolerance to my own cats, it only really became problematic when I went to a friends' house if they had a cat which malted a lot! Imagine extreme hayfever.